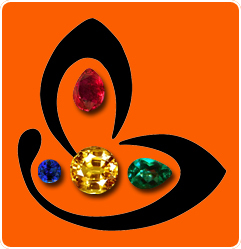 You are here: Home / Natural Fine Planetary Talismans / A Jyotish Gem is for a Gem- New Lot of extraordinary Colombian Emeralds for fortunate Mercury Energies. A Jyotish Gem is for a Gem- New Lot of extraordinary Colombian Emeralds for fortunate Mercury Energies. Colombian Emeralds with Over 90% clarity for Vedic Mercury Energies! Presenting our new lot of Fully Natural and Unenhanced Colombian Emeralds aptly named – “RARESCO ESMARALDUS – 2011”! Extraordinary lot of extremely rare Emerald gemstones averaging 3+ carats, a size that is extremely rare for Natural Colombian Emeralds! The epitome of Jyotish quality! Even though our buying division has thousands of Natural Emeralds in our inventory only a few Gemstones make the cut as Jyotish quality. And these are the ones that create quantifiable change. “Raresco Esmaraldus”, when translated from Latin means Rare Emeralds! To put into perspective the rarity of Emeralds, it is important to know that Emerald occurs as a miracle of nature. Emerald, a member of the Beryl family gets its color from the presence of Chromium and Vanadium, and these substances do not occur together naturally. But a few million years ago, raising magma deep in the Earth’s crust generated immense heat and melted and fused Beryl, Chromium and Vanadium together to form these beautiful green crystals! 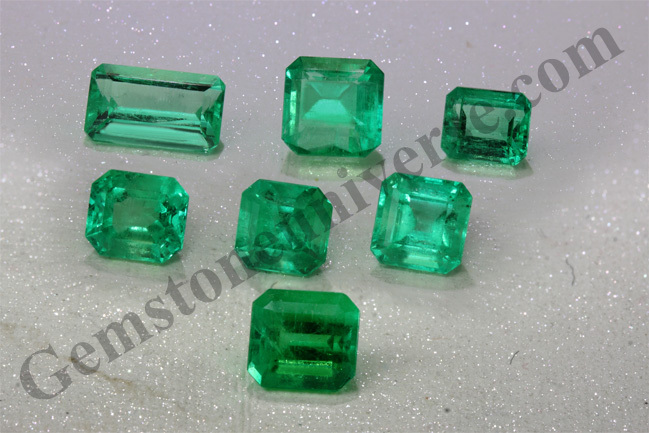 The Natures miraculous alchemy gives these special Emeralds their special powers of positive change. With clarity levels that delightfully over 90%, each one of these magnificent beauties have in them the beautiful Bright Summer Grass Green Color, with the purest hue, and it’s a color that is unique to Colombia, and the Colombian Emerald’s green color is unparalled in allure and beauty! Wondrous sizes of 3+ carats and above! Unparalled clarity of 90% above, an extreme rarity in Colombian Emeralds! Beautiful and alluring Bright Summer Grass Green color! Pricing: We shall ensure that you shall own an Colombian Emerald that is rare, precious, earth mined, natural and valuable. With superior Jyotish energies and Sattvik presence, these elegant and exquisite Natural Emeralds will make potent and fertile Mercury talismans, to inspire Mercury to bequeath upon the wearer the best of its blessings of Business, Finance and Communication! Stay with this guys, you’re helping a lot of plepoe.